iCracked My iPhone 5 Screen! Did you happen to drop your iPhone 5 and crack the screen over the couple of days? Yeah, we know how you feel. Our “Hump Day” here at Mission Repair are full of heart ache from customers that call in or fill our lobby with the exact same issue. Apparently, Monday and Tuesdays are pretty hard on iPhone 5 screens. While the horror stories of how the iPhone was damaged are never usually the same, the result is usually identical, a gigantic crack down the middle of their once beautiful touch screen. After a visit to our repair center, our customers know that we have their backs. We send them out of our doors with a new confidence… and a new screen! iPhone Repair @ Mission Repair! I wanted to post a quick reminder about our iPhone price drop! We have had some very excited customers in the last week enjoy these brand new prices and I want to make sure that these prices reach as many eyes as possible. If you have been gun-shy about finally having your iPhone repaired, please take a look at these awesome prices before you decide to continue living with that awful crack! iPhone 5S: Was $299 Now $209! iPhone 5C: Was $229 Now $209! iPhone 5: Was $134 Now $109! iPhone 4S: Was $89 Now $69! iPhone 4: Was $89 Now $69! These prices are fixed and will not be raising anytime soon, so there is time to get that iPhone repaired, but why wait? From personal experience I know how annoying it is to limp along with an iPhone that can cause bodily harm at any moment. So please, give us a ring at 866-638-8402 and let us get you fixed up! Price Drop: iPhone Screen Repairs! Last week, I mentioned some things will be changing at Mission Repair! Today is the right day to announce the next set of changed. This change is better for all of us, especially iPhone users! 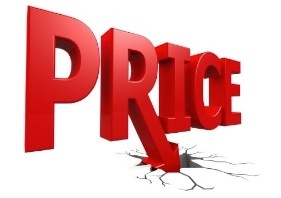 When we obtain better pricing, my first reaction is to always hand that savings off to the customer. But I called this meeting to test the culture of our staff and see if their mindset is the same as mine. This would obviously reflect poorly on me if I didn’t get the answer that I was hoping for. So I put it to a vote. Do we pass this savings onto our awesome customers or do we decide to change our policy and profit that extra savings? With a show of hands, 1,2,3,4,5,6 &7 – everyone voted to pass this savings onto our customers! I am very proud of our team. While I did have a little doubt in my mind of what would happen and I always have the ability to veto, they made the right choice and certainly have the Mission Repair culture in them! 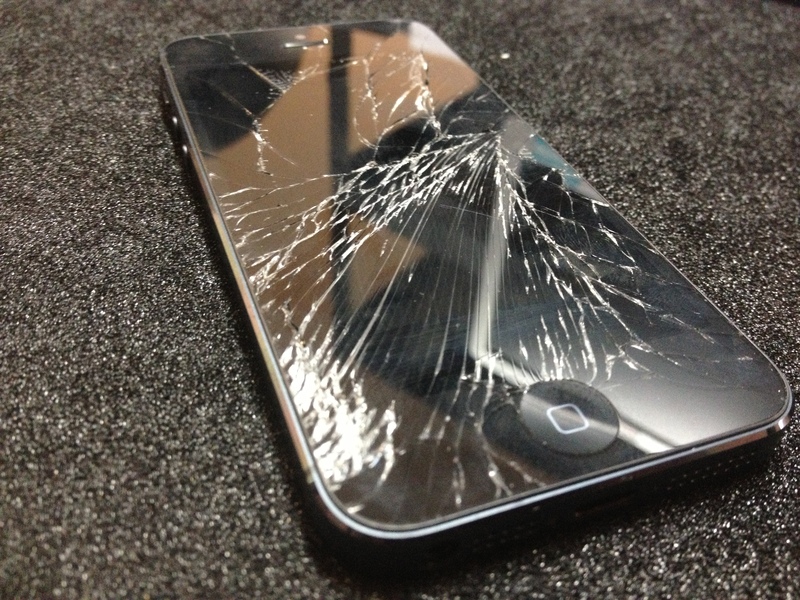 Today, we are lowering prices on the majority of our iPhone screen repair services! No need to rub your eyes, you really did read that correctly! With our newest vendor discounts and the fortitude of our team, we are able to give you some pretty hefty discounts and here they are! These are some of the largest price drops that we have done and we are excited to save you some cash! We have given you even more reason to repair that broken iPhone and not replace/junk it! These prices are available starting today and are here to stay forever… or at least until the next vendor price decrease! So it’s time people to finally get that iPhone repaired. I say do away with the glass shards and embarrassing looks that your iPhone produces and let Mission:Repair install brand new life into your phone! Did you happen to drop your iPhone 5 and crack the screen over the weekend? Yeah, we know how you feel. Our Monday’s here at Mission Repair are full of heart ache from customers that call in or fill our lobby with the exact same issue. While the stories are never usually the same, the result is usually identical, a gigantic crack down the middle of their once beautiful touch screen. iPhone 5 Cracked Screen Repair! Can you believe that we are already more than half way through November? With Thanksgiving coming up and the Holidays just around the bend, we have plenty to look forward to. Something that you need not wait for however, is a great deal on an iPhone 5 screen repair! The month of November has brought an excellent “Deal Of The Month”, so please don’t miss out! So what is this deal? I’m glad you asked, because You will be able to save an extra $10.00 on both iPhone 5 Front Glass Screen Repair (Black) and iPhone 5 Front Glass Screen Repair (White) until 11:59 pm on November 30th! This does not mean wait until the very last minute to save some money though. 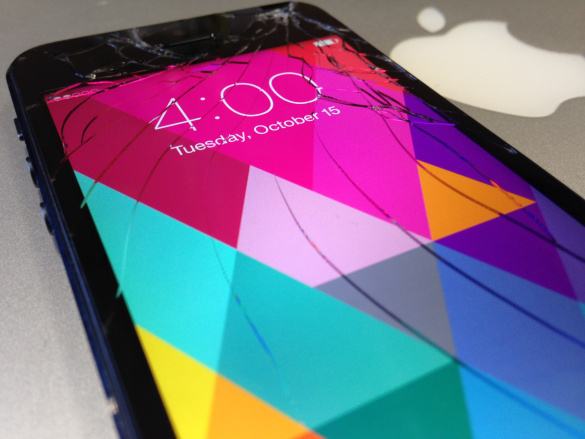 If you have a cracked screen, give your fingers a break and repair it now! To get started: click one of the above links, call us at 866-638-8402 or email us at Sales@missionrepair.com!